We know that children start school with sparkling imaginations and a willingness to take risks with how they think. We embrace this everyday through our teaching, creative learning and stimulating curriculum that inspires, excites and enables a ‘could be’ attitude. By doing this, we are able to nurture their fertile minds and celebrate each child’s ‘bright spark’ that makes them a unique individual. 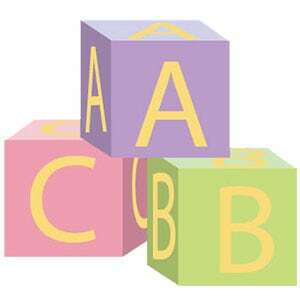 We provide quality childcare and education for children aged 2-5. We are open for 50 weeks of the year from 8.00am - 6.00pm with a range of sessions so you can find times to suit your needs. We recommend you contact us well before you wish your child to start to ensure we have availability. 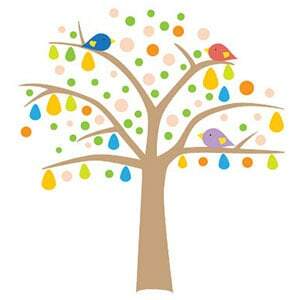 Our nursery experience is designed to bring out the best in every child. Our motto be what you are reflects the whole school ethos, with children encouraged to develop in a way that suits their own individual interests and skills. Children aged 2-3 join our ‘Duckling’ class, which nurtures the first steps in their developmental journey with us. During the academic year that the children turn 4 years old, they advance into our ‘Cygnet’ class, which prepares them for ‘Big School’ by gradually immersing them in a play-based classroom environment with a subtle introduction to phonics and numbers alongside creative and physical activities. Our range of music, drama, movement and play activities inspires children to grow emotionally, socially and intellectually. Your child will leave our nursery confident, independent and resilient, motivated to take on the next challenges in their developmental journey. At Little Wellies, we believe in developing the unique character in each child. Learning is about much more than literacy and numeracy. It is also about creativity, friendships and understanding the world, which is why we put play at the heart of everything we do, nurturing their critical thinking skills and their curiosity as they explore the enriching environment. Through play we can support children to build their confidence and independence and empower them to choose, imagine and empathise with other children. In our free flow environment, our skilled team of practitioners provide a range of inspiring adult-led activities and opportunities, which give the children the balance of independent and supported play. This balance ensures that they meet their full potential in all areas of their learning. In order to give you an insight into your child’s experience at nursery, we use an online system called Tapestry to record your child’s time with us. By logging on with a secure username and password, you will see videos and photo observations of your child’s learning and development. You can share it and post any comments and photographs of your own, helping to create a fully holistic view of your child. Our extensive nursery facilities are thoughtfully designed to encourage your child’s creativity, development and natural passion for learning. We have distinct learning areas: a home corner, a reading space, an area for creative activities such as sand and water play, and a large carpeted area for construction play. Outside, we have a self-contained play area with grass and hard play safety surfaces so your child can explore the outdoors, enjoying climbing, balancing, ride-on toys and more, all within a safe environment where we encourage appropriate levels of risk-taking to expand their comfort zone. Children enjoy our themed days, such as Welly Wednesday and Fitness Friday. Activities are child-centred and often child-initiated facilitated by our enabling environment, allowing our children to be resourceful and imaginative in choosing their play. Our nursery is located in the heart of Wells Cathedral School, allowing us to take advantage of the full range of facilities, including the sports and drama halls, music rooms, dining hall, nature area within the beautiful school grounds, and additional play facilities. We recognise that toddlers need good nutritious food to give them the energy they need to learn and play throughout the day! We provide healthy & varied meals and snacks with each of our sessions so you don’t need to worry about factoring in food as part of your hectic day. Depending on your choice of sessions, your child can enjoy breakfast, a morning snack, lunch, afternoon snack and a light tea with us. Meals are served in the school dining room, which is an ideal opportunity for them to learn the culinary skills they need for lunches at school. Wells’ beautiful setting and facilities encourage the children to explore whilst feeling a part of the wider school community. 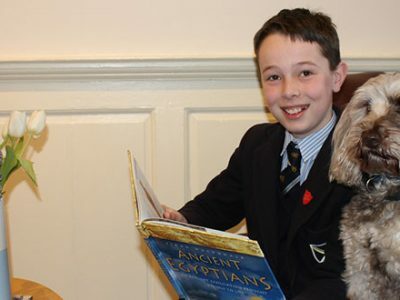 We always feel ‘in the loop’ and enjoy reading what our son has been up to. The staff at Wells have the unique ability of tailoring activities for each individual’s current stage of development, and the bonds built enable the team to understand and work with my child at his speed. My daughter absolutely loves Little Wellies! She felt comfortable from day one and she’d settled in completely by the end of her first week. My daughter speaks so highly of all of the staff and is excited to tell them about her weekends and tell me all the songs and stories she’s learnt. The contact with parents is fantastic with personal photos of most days activities via Tapestry, to regular emails of what the next week entails. If you have any further questions or need clarification of anything in relation to the EYE please do not hesitate to get in touch. When you register your child at Little Wellies, a £50 fee is charged to secure your child’s place. This includes a Little Wellies sweatshirt. This is refundable should a place not be available. We will provide a uniform list for you upon registration with the options available for you to purchase. We aim to provide all children with a family environment within a kind and caring community where they can be happy, healthy and, most importantly, who they are. We ensure that they have a sense of belonging and are contented, balanced and confident individuals who have the necessary tools to live safe, joyful and fulfilling lives. Education at its best is a deep act of care. If we care, then we will notice. If we notice, then we will act on a child’s behalf. If we act for each child, then they will grow best, will achieve best and will become their best selves. To be known, to be noticed, to be valued and to be cared for are the essentials of a good childhood, and they are at the heart of everything we do. In their learning and in their life at school, our dedicated team of staff devote themselves to knowing each child’s strengths and needs and responding appropriately. We have rigorous frameworks for knowing, communicating about and acting for each child and meet on a daily basis to talk about our children. The security they have in their relationships with teachers who truly know them and care about them is the springboard for their learning and the guarantee of their well-being. We understand growing up is a learning process, which can present our children with challenges, and it is not always easy. Children will make mistakes and need to be allowed to learn from them in a safe, supportive environment. Through our dedicated team of staff, which includes form tutors, professional counsellors, qualified nurses and doctors, a head of pastoral care and a Life Skills programme, every child has a ‘safety network’ they can trust if they need to share any worries. We always take time with each child so we can listen to their joys and concerns. No life or community is without difficulty, and occasionally unkindness will arise. When it does, our children trust us to care, to understand, to listen and to help them resolve things. We work closely with parents and families to resolve any issues, using open and honest communication. 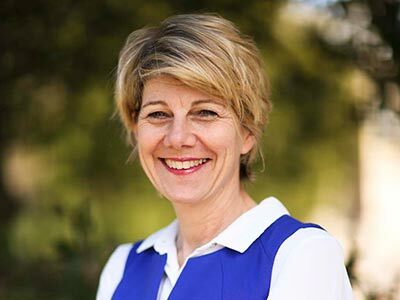 When they leave our Junior School, our goal is to ensure that each of our children has a high level of spiritual awareness, emotional intelligence and self control and are also active and responsible citizens who make a positive contribution to the school and the wider world. We pride ourselves on providing a learning environment that encourages our 'intellectually-curious explorers' to develop the skills and character strengths that our pupils will need to be ready and prepared to thrive in the ever-changing world around us. Across the school, the strength of personal relationships between pupils and staff fosters a positive learning environment and teachers give generously of their time both inside and outside the classroom in order to help pupils to learn. Our motto be what you are is reflected in our approach to our curriculum. We give our pupils a range of opportunities designed to help them to discover themselves, to challenge themselves (and be challenged! ), to succeed, and to see failure as a learning experience. Through a vast and varied range of learning opportunities our children are able to develop their talents and discover new ones both in and outside of the classroom within an accepting community that encourages everyone to be exactly what they are and become the best version of themselves. 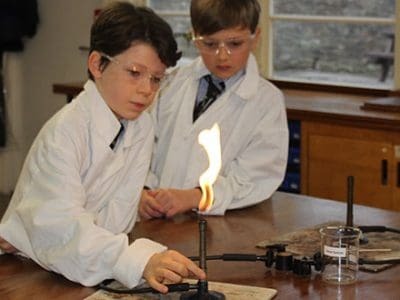 Our Junior School offers a challenging and creative curriculum to inspire our children to become problem-solvers and to take risks from early in their school careers. All children are encouraged to develop teamwork and leadership skills, make friends and have fun. Children use their initiative and dare to take risks in a supportive environment. Whilst our curriculum complies with statutory requirements and takes account of the general requirements of the National Curriculum and EYFS framework, as an independent school we are released from the constraints of the National Curriculum and pupils receive a rich educational diet. The children are mainly looked after by their Form Teacher up to Year 3 but also work with specialists in subjects like Games, Music, Art, Drama and Dance. In Years 4, 5 and 6, we have an increasing use of specialised staff across all subjects. 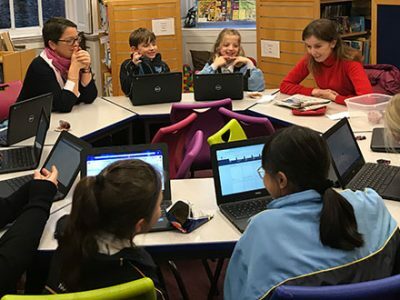 In Languages, we want pupils to be confident in embarking upon new challenges so we study French in Years 1-6, with the opportunity to attend a Latin Club for Years 5 and 6 and a Spanish and Portuguese Club for the younger children. We have a strong and effective partnership with the Senior School, both in terms of shared facilities and specialist teaching. We didn’t choose Wells specifically for its musical reputation but simply for the way the school made us feel from day one – it just felt right. 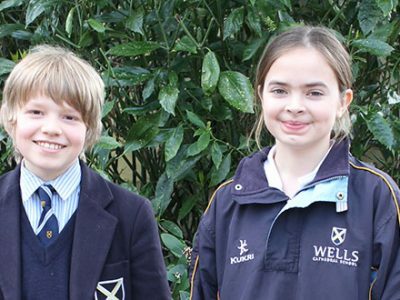 We couldn’t be happier however to see how the academic curriculum is superbly enriched by the focus on performance the Wells environment offers our children. Continued opportunities to act, recite, perform or play an instrument to an audience of adults and peers has harnessed a confidence in our children I know will serve them well in adult life allowing them to be not just who they are but also who they could be! We believe music, drama, dance and the arts are highly important aspects of academic life and enhance academic progress. Our specialist subject teachers help to develop skills and ensure that interests play an important part in their school day. 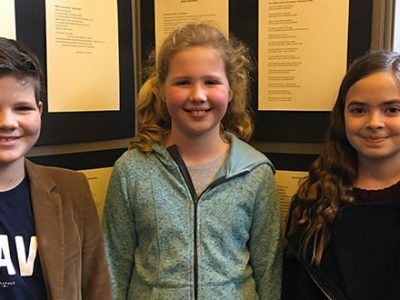 Artwork exhibited around the school demonstrates the creativity of pupils and junior school pupils have exhibited in the National Gallery. Our annual Arts Week is a fun and rewarding opportunity for all pupils from Nursery to Year 6 to enjoy a range of creative arts activities surrounding a particular theme that changes each year. In the past, we have explored India, the Caribbean, West Africa, China, Bali, Somerset and Time including activities such as drumming, dancing, printing, ceramics, puppetry and sculpture. Each pupil is able to work with professional artists during the course of the week. Parents are able to see the fruits of the children’s labours showcased at our annual Open Exhibition Afternoon. We encourage all pupils to perform in our termly informal concerts, which offer everyone (from beginners to specialists) the chance to show off their developing talents. Our range of ensembles and orchestra provide additional opportunities for our talented young musicians to shine and improve. Pupils can audition to become members of the school choir in years 5 and 6 whilst pupils in years 3 and 4 can sing in a fun choir each week. In Year 1, all pupils have free strings lessons with our specialist music teachers. We also offer a free brass trial scheme to all pupils aged 6-11 with our specialist brass teachers. 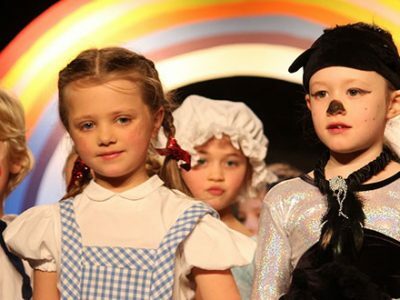 All pupils from Nursery – Year 6 have a chance to shine in our drama productions! 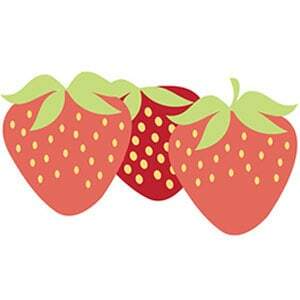 We separate the productions into two age groups: Nursery – Year 2 and Years 3-6. The younger children perform a wonderful nativity at the end of Advent term and a special Easter production. The older children participate in the Christmas Celebration, which is a mixture of music, poetry and prose, and instrumental items celebrating the joy of the season, held in the Cathedral Nave. They also perform in a play at the end of the school year. All pupils perform in one role or another, whether on stage or as part of the vital backstage crew. Our pupils learn a huge variety of modern and traditional dance movements in our dance studio, and they have a chance to perform in our annual informal concert and at the end of year show. Our sports ethos is involvement, participation and ‘sport for all’ in a wide variety of activities. Our primary goal is to foster a lifelong love of sport and physical activity in every pupil and inspire them to embrace a healthy lifestyle that challenges them as an individual and as an effective team member. Through imaginative coaching that emphasises fundamental movement skills, we nurture each and every pupil as resilient and robust self-starters. By giving each child a clear pathway through a range of enjoyable physical activities, we hope to engender self-sufficiency, leadership and a perseverance to aim high in all that they do. We embed physical skills across our busy curriculum and active environment. Children receive specialist provision from games and swimming instructors and drama and dance teachers. This, in partnership with our ballet and football club, wake and shake, mini-me yoga and regular brain breaks whilst walking around our beautiful site, makes for a love of being active for life. As children develop their fine and gross motor control and coordination in our active environment, these fundamental movement skills, in turn, have a significant influence on all round development; they cannot write until they can hold a pencil – a very complex skill indeed! The organisation of a regular and appropriate fixtures programme is important to us. Pupils compete competitively in matches with other schools from Year 3 onwards. Our aim is to involve every pupil in these games with the emphasis on enjoyment and providing opportunities for the children to learn through playing the game with continuous positive encouragement from coaches. We have several teams per age group, which allows all children to experience competitive games at the appropriate level for them. 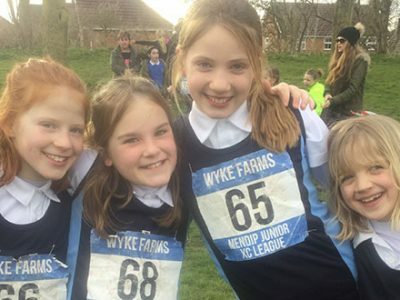 In addition to our matches in hockey, rugby, netball, cricket and rounders, we also compete in the local cross country league throughout the year, and many of our runners go on to represent Mendip in the inter-area championships. 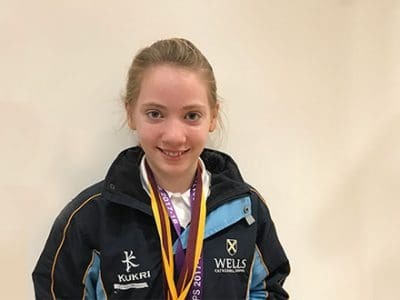 Many of our children also swim competitively for the school swim squad with several going through to the IAPS regional championships round each year. We also run a wide range of co-curricular sports clubs that all pupils are welcome to attend whatever their ability: games, swimming, running, and rookie lifeguard to name but a few. We offer an extensive and varied activity programme that provides our children with opportunities to try something new, discover something they enjoy and are good at, or simply pursue and develop an existing hobby or interest. A wide array of extra-curricular activities provides excellent opportunities for pupils to develop individual enthusiasms and include cheerleading, drama, dance and sports in the junior school. We believe that every child has strengths and hidden talents; our challenge as teachers and educators is to discover what these are and then nurture them. Our activity programme is a key vehicle to enable this to happen and helps our children to become self-motivated individuals with increased confidence and self-esteem. Our dedicated team of staff are able to provide a wide range of clubs; from ballet to rookie lifeguard and everything else in between. Some of the new activities added to the programme have been in response to requests from the School Council, which provides an active pupil voice in the Junior School. Outdoor learning is an important part of our school ethos. We are fortunate to have extensive and beautiful grounds in which our pupils play, learn and discover. The opportunities created by our surroundings enrich the children’s knowledge of both their place in the community and the natural world that they inhabit. In Years 5 & 6 we have an annual outdoor education trip to Skern Lodge, North Devon in Bideford. Their wide range of outdoor education activities, from high ropes to water rafting and tunnelling, encourage our children to explore and challenge themselves as individuals and as a team. Years 3-6 also enjoy outdoor education as part of their PE programme. As well as orienteering, our children can enjoy climbing on our climbing wall. The Rookie Lifeguard club is very popular with Years 5 and 6, which helps the pupils to develop their aquatic skills. Our children in pre-prep and nursery do weekly forest school using the wider spaces as their classroom – dressed in wet weather gear and wellington boots, ‘Welly Wednesday’ is one of the highlights of the week for children and staff alike! The children can be seen exploring the nature area, seeing to our chickens, building a bug hotel, gardening, going on scavenger hunts, visiting the local community, or toasting marshmallows on the fire!